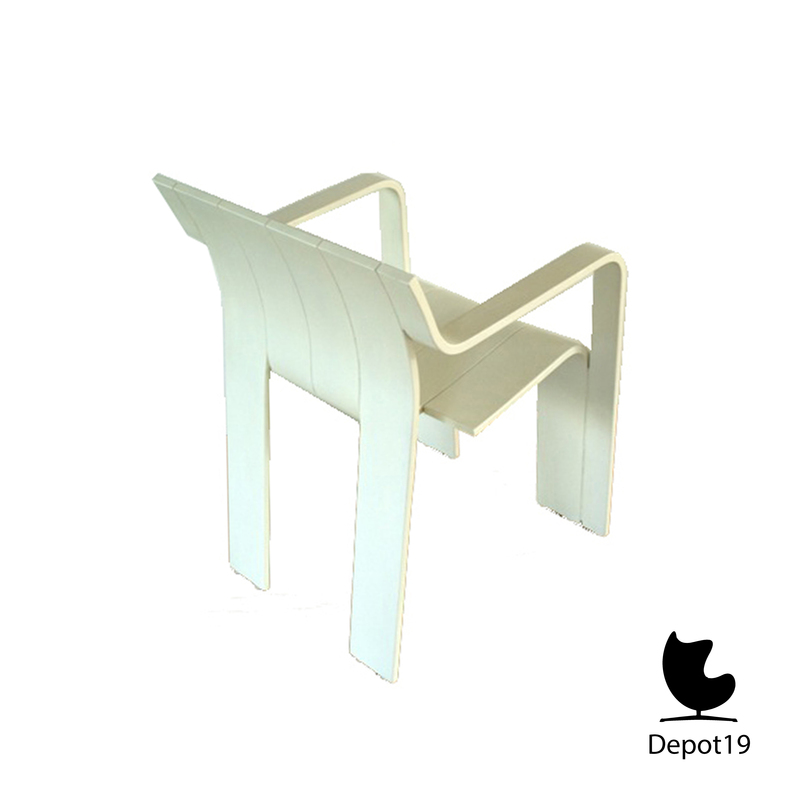 White strip stackable chair, a chair with armrests, designed by Gijs Bakker for Castelijn in 1974. The chair is in a good vintage condition. 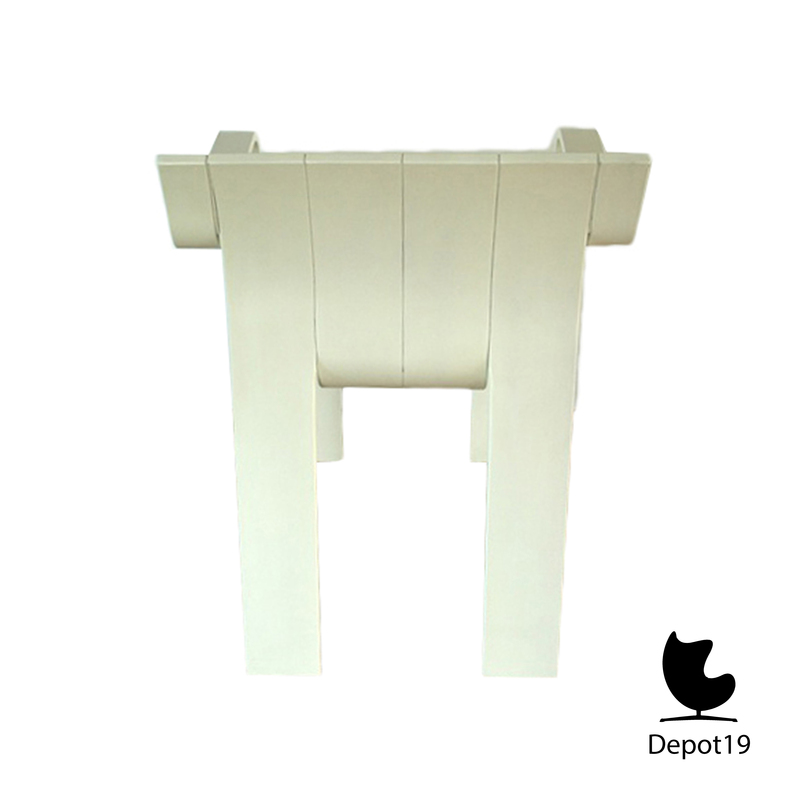 Making these dining chairs was to be called revolutionary at that time. 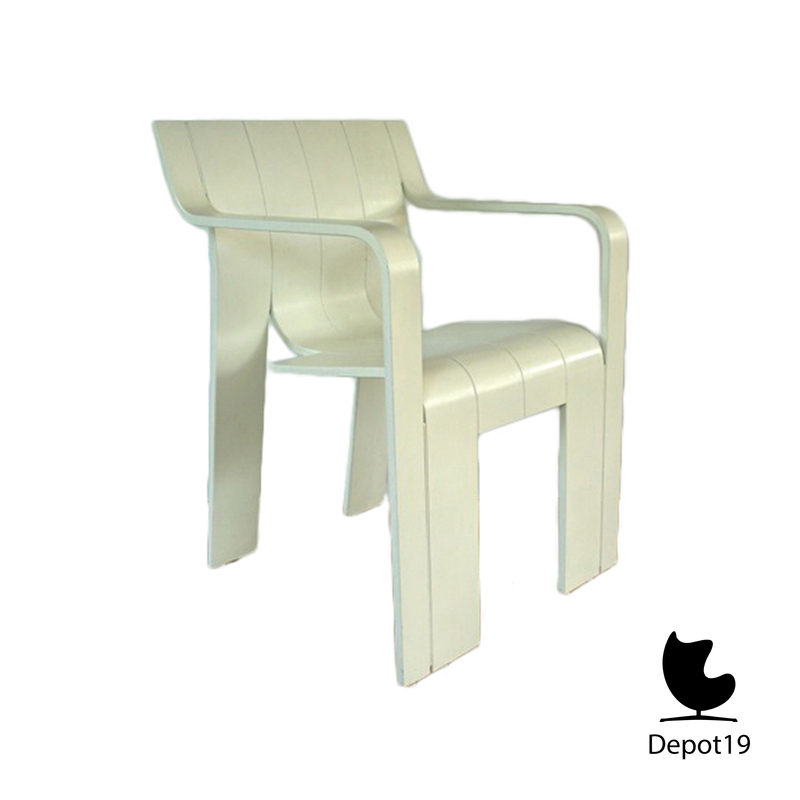 Each chair is made of six strips of laminated wood with white laquered ash finish. These strips are shaped with steam. The chair is stackable. 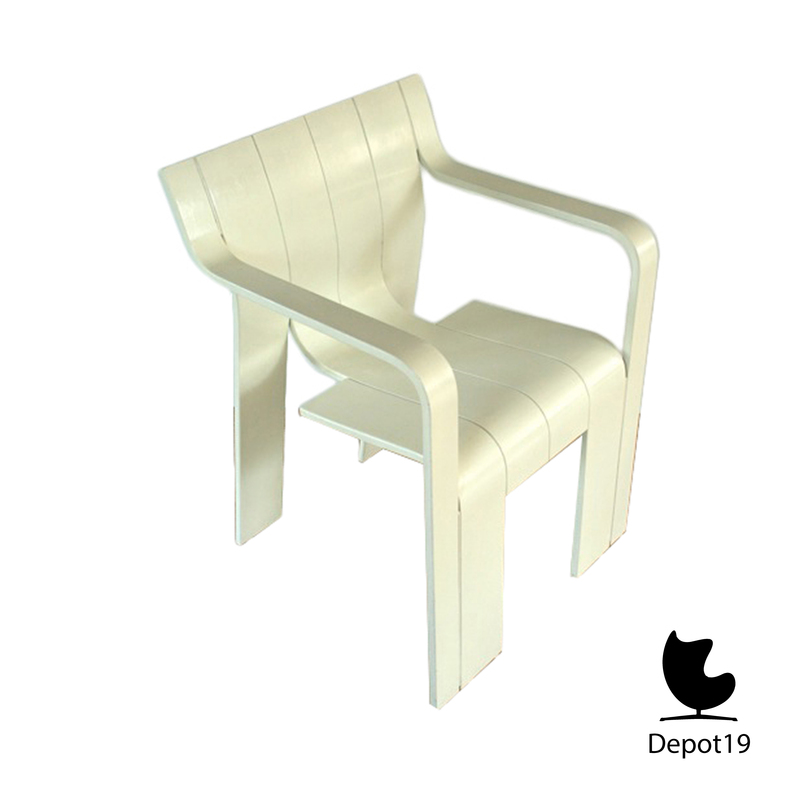 This strip chair is a true design classic.